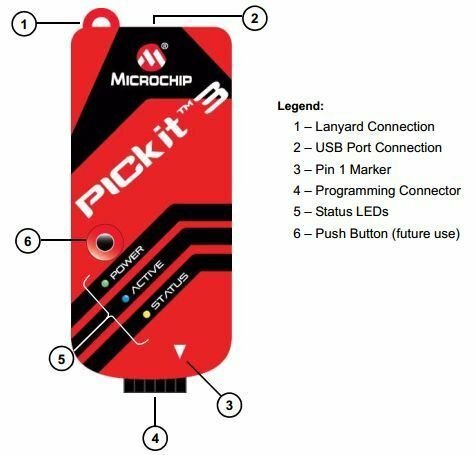 How to Use PICKit3: This tutorial is about how to use a burner for programming of pic microcontrollers. 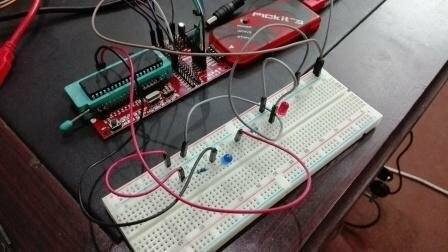 I have already posted a article on how to use MikroC for pic for programming of pic microcontrollers in c. The programmer is a debugger system used for software and hardware development of Microchip PIC microcontrollers. 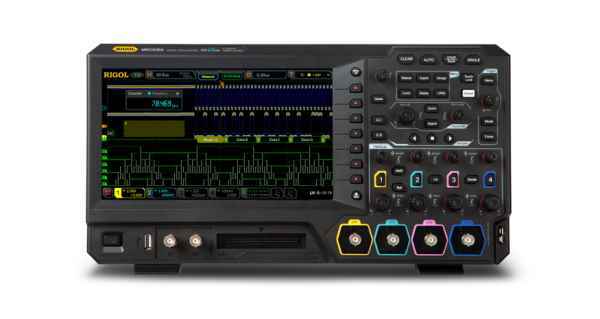 The debugger system executes code like an actual device because Instead of using a special debugger chip for emulation it uses a device with built-in emulation circuit. All available features of a given device are accessible interactively, and can be set and modified by the MPLAB IDE interface. I recommend you to check this list of pic microcontroller tutorials. You can also check a complete list of pic microcontroller projects. Pickit3 comes with following components. A convenient lanyard connection is provided on the programmer. The Port connection is a USB mini-B connector. It is used to connect the PICKit3 with PC through USB cable. 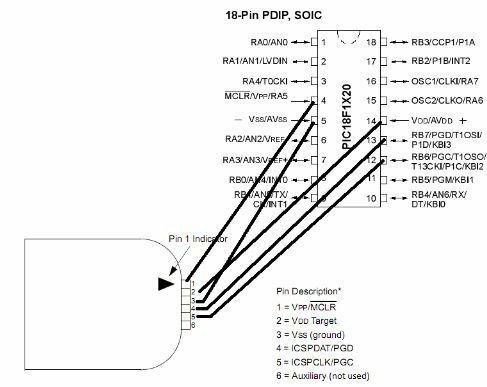 It indicated the location of Pin 1 for proper connection with minimum developer board on which PIC microcontroller is placed. It is a six pin connector and is used to connect the target device with PICKit3. It consists of following pins with pin 1 starting from marker. Power is supplied to the PICKit3 through USB port. Communication link is active and PICKit3 has connection with PC through USB cable. The PICKit3 encounter some error. Pin 6 is not connected for normal usage. This configuration is only for PIC18F1x20. 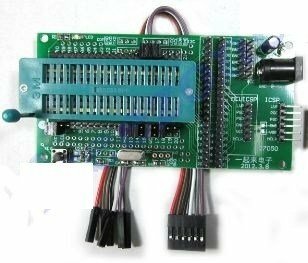 For every microcontroller pin configuration will be different and you can consult datasheet of your respective microcontroller for this these connections.To connect this programmer with programming board consult following picture for help. Programmer board is provided with 6 out output pins at one side for connections with PICKit3. Following are the pins. 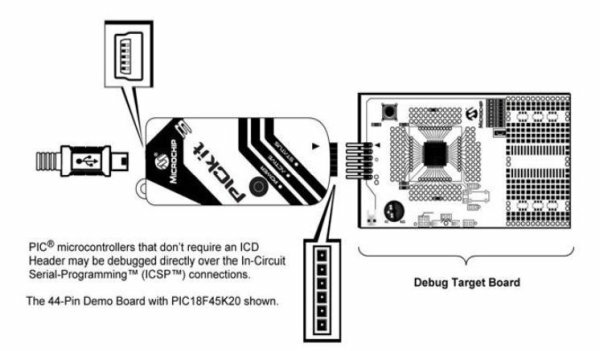 Place you controller on programmer board and then connect it with PICKit3 as follows. Pickit3 pins counting starts from arrow marker. These connections are only for PIC18F46K22. For other microcontrollers consult data sheet of respective microcontroller. Connect the following circuit. You don’t need to connect Crystal oscillator and capacitor. Jus connect LEDs, Power and resistors. 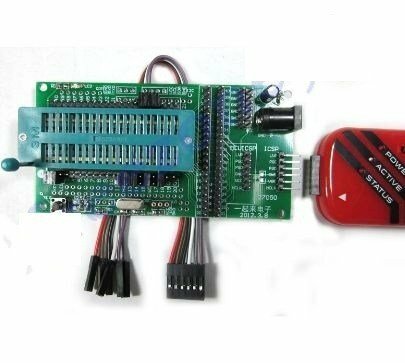 You will provide connections from programmer board to LEDs.